Cold War Kids in Montreal or Quebec City? Inform me about the next events for Cold War Kids. 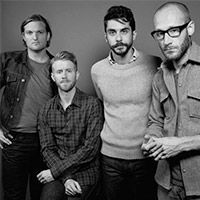 Enroll yourself to our priority waiting list for Cold War Kids to be alerted when new tickets are available. Filling this form doesn't engage you to any purchase. Cold War Kids will be performing at the Corona Theater, in Montreal, on March 19th, 2011. The California band will be releasing their 3rd album, entitled Mine Is Yours, on January 25th, 2011. Their previous album Loyalty to Loyalty (2008) did not get the response the band was expecting after the tremendous critical and popular acclaims their debut album Robbers & Cowards got. Will Mine Is Yours be the comeback disc every Cold War Kids fan is waiting for?